It can work both ways. If it wasn’t for the enterprising Birley family at Vindolanda, we would not have the extraordinary writing tablets with details of the first and 2nd century AD social engagements of garrison wives and the like. Equally, the mosaic at Woodchester in Gloucestershire remains in a very fine state because it is so relatively seldom put on show. Nothing of this debate is known, however, to the most famous of the creatures which live amidst all the underground treasure: the UK’s moles. And they are in the northern news because they have been doing some excavation of their own. Digging is what moles do, and when they live on a scheduled ancient monument that can be quite helpful, at least to the Birley-minded school of thought. Take Epiacum, which was a Roman fort some 12 miles south of the wall at present-day Whitley Castle on the 1000-acre fields of Castle Nook farm. 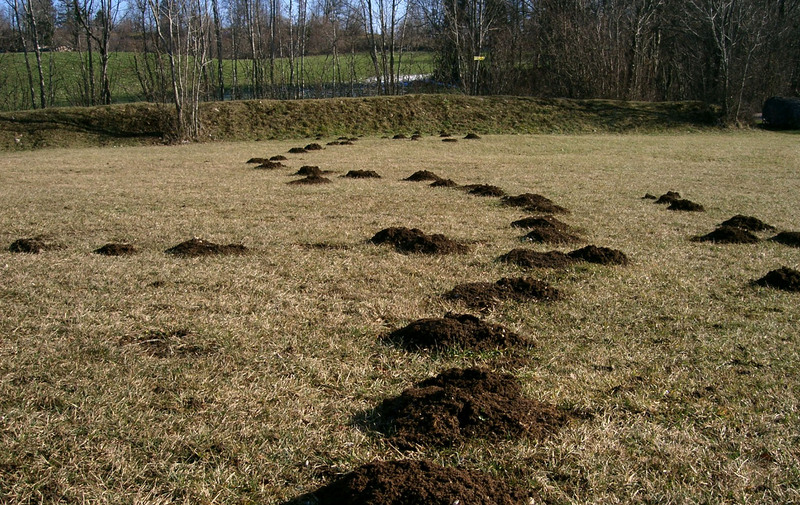 Moles have been so busy there that English Heritage has drafted in 37 volunteers to sieve through their molehills and carefully take out anything ancient which has been brought to the surface. So far, they have found a bead from a jet necklace, pieces of earthenware pots and a quarter-inch-long shard of rarer and more valuable Samian ware pottery. Rthe bronze was just lying there on the side of a molehill. We’ve had a good day this year too. The Samian ware is the sort of thing the Romans used to keep up with their version of the Joneses and we found a quarter-inch flat, round piece of it. There are some other really nice pieces. The moles are able to do what we humans are forbidden by law to do. As farmers we are not allowed to do anything that turns the land over. English Heritage had to be on site yesterday to make it legal for us even to sieve through the molehills. Moles have played a significant role in the history of the UK, as the Jacobean toast to the ‘little gentleman in velvet’ recalls.